As several political candidates fix their eyes on the news and hope for victory in their race, one Republican delegate can sit back and relax as she is running unopposed this election cycle. 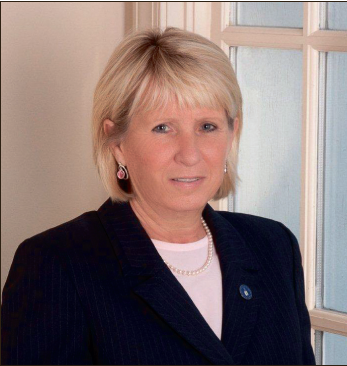 Kathy Byron has been a Republican member in the House of Delegates since 1997. She represents the 22nd district, which includes Lynchburg, Campbell County and part of Bedford County. This is the second time she has run unopposed, and Byron is enjoying not having to deal with the stress that comes with running a campaign. Although Byron has spent 14 years in the House of Delegates, she never had an interest in being a politician and actually declined when a former delegate first asked her to run. Along with her conviction from God, Byron felt that she had the administrative skills and the right values the district was looking for, so she decided to take the position. During her 14 years as a delegate, Byron has had plenty of issues to stand up for. According to Byron, some of her greatest accomplishments have helped fight against identity theft and protect children. Despite her accomplishments, Byron’s passion is business. She and her husband owned a call-and-mail center, which gave her first hand experience to know what business owners want. As part of her job, Byron serves as a member of the Tobacco Commission. The commission gave $12 million to Liberty University for the upcoming school of health sciences. As Byron gears up for the next session, she said she looks forward to continuing to work on workforce training. Although her job as delegate brings along a busy schedule, she has no plans to retire soon. What is your opinion as to the benefit of the new ERA in regards to women’s rights? Most know Richard Hinkley as the chief police officer on Liberty's campus, but did you know that he also co-owns Chestnut Hill Bakery, Lynchburg's premier bakery located on Fort Ave?